It's time to become a bit more skeptic. Use discernment to discover the difference between knowledge and superstition. Know that things are not exactly what they appear to be. Use discernment to peel back the layers of deception and see things for what they really are. Look through, rather than right at, the object of your attention. Trust this cat to let you see the truth of the matter. Alternatively this Big Cat is telling you to wake up and smell the roses! You are being deceived by someone and that someone is most likely yourself. Look to see where you are deluding yourself with your beliefs. Take the time to analyze the truth of what you believe and reconsider what you value within it. This animal also encourages you to be more playful and flexible in your life. She also pushes you to reach out for more opportunities, break out of our molds, and change our routines. 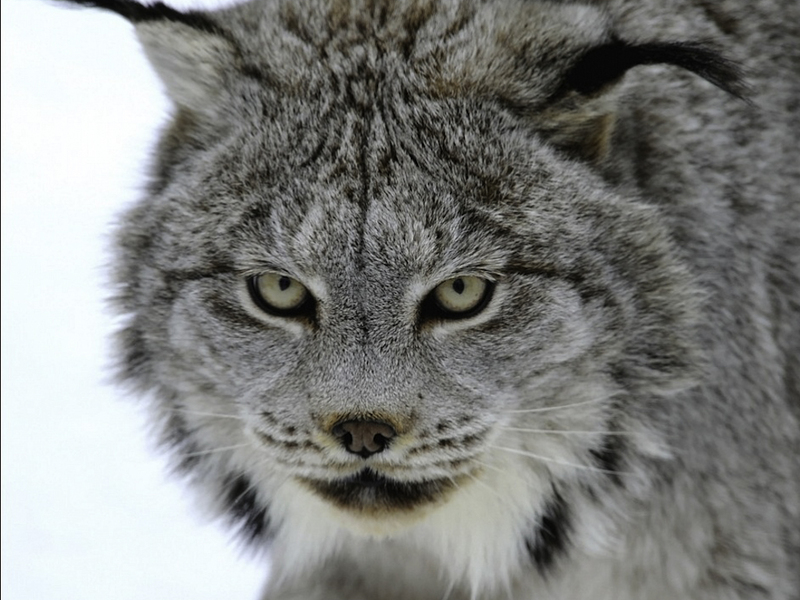 Lynx is about developing our abilities to see the unseen and silent aspects of our inner selves. Discerning truth when faced with adversity. The this Big Cat is your animal totem then you are a very patient person. You know how to wait for exactly the right moment to pounce. People love to bring you their secrets because they know you have the ability to keep a secret. Sometimes other people are uncomfortable around you because they know that you see through their little dramas and acts. You have learned to trust your intuition and follow through on your inner guidance. You are playful yet know how to fly under the radar of others. You are passionate about all things that interest you yet rarely show it to others. You value time to yourself. To dream of this animal is a symbol of secrecy. You need to expose and examine the secrets around you and learn from them. If you dream of a Black Lynx is a sign that you need to be objective in any situation. This dream can also signify self guilt with relation to someone you dislike or do not trust. For a women to dream of this big cat usually means that she is not seeing things clearly with regards to her relationship with her significant other. A couple of mornings ago, I had woken, or so I thought, and was just lying in bed. 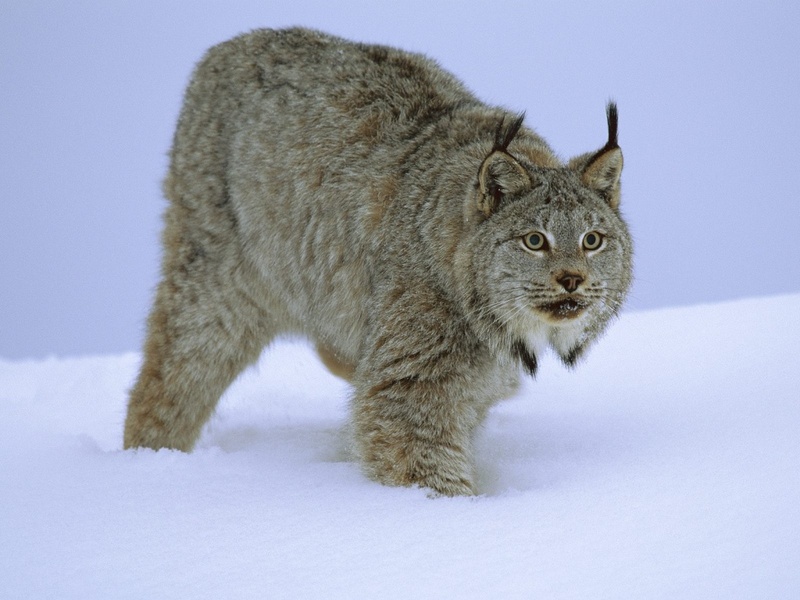 All of the sudden, with eyes closed I felt a thump on my bed, opened my eyes and saw the silhouette of a Lynx. Closed my eyes thinking I was just dreaming. I then felt claws gripping my hands and then one arm. As I lay completely still trying to decipher what was happening, the grip intensified. I continued to feel the claws for what seemed 10-15 minutes. After a few minutes, I felt another thump and felt as though there were more but younger cubs. Then I woke up. Since that morning, I have had the image of this Lynx seared in my mind and cannot seem to let it go. Here’s my final kicker… I have 3 marks on the top of my left hand that resemble claw marks… The only animal I have is a Chinchilla. Thoughts? Im not sure where I was walking when I suddenly felt something large but not too heavy jump on me. At first I was startled thinking I was being attacked when I noticed that it was a large beautiful white Lynx with long beautiful hair that had jumped on me that had no harmful intentions but was being playful. I asked the owner if this cat did this often to strangers and they said that this was the first time that they had seen this happen. This made me feel special as I reveled in the experience and attention of this beautiful large cat. 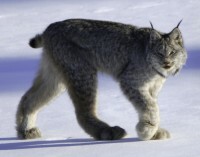 Okay here’s a dream I had and I don’t know if it means that a lynx is a totem for me or not. I was at my parents house and it had gotten loose. Me and my brother went outside to try and catch it. It kept running from us but no matter how far I ran I didn’t get tired or discouraged. Only that I had to catch it. When I finally caught up with it at some store like Cabela’s or something. I walked over and knelt down beside it. It didn’t run this time. I hugged it around the neck and it licked my hair and purred. Any ideas what it could mean? Please help because I’m very confused. We have rabbits in real life but they were in side in this dream i was outside helping mom with planting/growing a garden just generally helping out an when I was about to step over the fence to the small garden with the door on the other side open these two baby Canadian. ( white with spots) lynlxs run through the door so I finish jumping the small garden fence and run after thinking they may be after a bunny, (this part is kinda weird) while they were going through the door though they looked like rabbits but I knew them to be lynkx (back to running) they stopped after a few feet sat down and waited for me to pick them up (so I did) by their scruffs and took them to mom and she gasped because she knew what they were and was all ooooohhh! They are solo cute good catch. And handed them to her to cuddle we were all happy and that’s when I woke up. an you help me figure what/why the baby lynkx s were in my dream? Please and thank you! I had a dream where i was a bit older then i am now, and i walked into my living room. There sat a grey/white spotted lynx on my couch, laying there, filling up the whole space(it was rather large). My body was hesitant but i went towards it, and fed it some meat (i wasn’t sure what meat it was). It ate it and i sat on the floor next to it and it began to groom/lick my head. Could someone decipher this dream? That you are doing something right and are conscious and evolving in a good way. Your soul is alright too. A good dream indeed. I would like some help deciphering the meaning of this dream please. It was night, myself and others were barricaded behind extremely tall thick wooden walls. We were under attack by “something- someone”, I had a black wolf and a yellow/tan spotted shaggy in some areas bobcat- they and I were “one” –connected — i refrain using the word “pet”, but like that. So they both ran through the gate to attack what was out there, I had to close the gate and called them both back- only the bobcat came back the wolf kept fighting. I couldnt see him but I knew he was alright, but I wanted him in behind the gate as I had to close it. Swarming the gate was wild dogs, I kept slamming the gate on them – some got by but i knew the bobcat and the others could manage what had gotten past me so far. I woke up before the wolf came back and I could secure the door. …….. what could that mean.. are they guides ? …..
Last night I had a dream, which had normal domestic cats in it, and then a very large orange tabby that resembled a cougar. Although the cat was frightening, I felt I was in no immediate danger. This morning, on my drive to work, I took a different road to the highway than I normally take, when I turned the corner, there was a rather large lynx walking down the middle of the road. When it heard my vehicle, he turned and walked off, over the snow bank and carried on. I’ve never seen a lynx in the wild this close before. Amazing, and so close after dreaming of a large cat. I was tripping on lsd by myself in the woods, just sitting completely still by a fire zoning out thinking, and out of no where i look to my left and there was a little grey lynx creaping slowly toward me, but it hadnt seen me until i turned my head and we both kind of jumped in surprise at one another. It was verry funny at the tims but also mysterious. Thats the only time ive seen a lynx in the wild. Always wondered if thers was some sort of message being sent. I had a dream last night that I was in my parent’s barn and there were several animals in cages. The animal I remember most vividly was a lynx, shrunken and sickly, in a cage. I felt so bad for the animals and let them out. I let the Lynx out of the cage, and she ran into the woods. What does this mean? I am currently going through changes right now- I am moving into a house with my partner and leaving my one-bedroom (where I’ve lived alone) of 3 years. Lynx, Tahontaneken’kó:wa, speaks to me of being still, putting aside all the noise of modern life and paying attention to the things that go beyond all the noise and pointless movement around me. Sometimes we all need to stop and be quiet and still, to become mindful of the real things in life, the things that actually matter. This does not mean to block anything out or to try to narrow our vision. Bruce Lee used to say that “Concentration is a narrowing of the mind.” . Only we humans think that is how to approach the world. Awareness means opening up your senses and your mind and listening without judgement or exclusion. Lynx is reminding me that I should do this every single day. It can be done in a few moments or for hours. It doesn’t require a temple or a guru. It just requires me to stop for a moment and listen, and to see what is really there. I sat and shared food with Lynx once. We were up in northern Ontario, near Hudson’s Bay. I sat down to eat some jerky when I spotted the Lynx watching me from behind some birch trees. I threw him some jerky. And then we spent some time just sitting. Neither one of us moved for a very long time. I was careful not to look directly at him so that he felt comfortable in my presence. I was, and remain very thankful for our moment together. I’m glad you are greatful for this powerful moment with a majestic Lynx. However, no one should feed a wild animal. It is unnatural and they lose the natural fear of humans . Wild animals need to fear humans for their own saftey and so they can maintain their abilities to forge on their own. Last week I dreamt that my brother and I were chilling in his garage and all of a sudden this leopard appeard. My brother told me it shows up every once in awhile thinking he has food, he handed me this bottle of nail polish than I fed the cat the nail polish, later in that dream I was in the rafters trying to hide but the leopard came up with me. A few moments passed and we went inside, we looked out the window saw it wasn’t there and jumped back in the garage, than his neighbour was walking by with 2 white lynx’s with black spots that had many incisions over them, the leopard charged at them and his other neighbour came out with a broom swating at the leopard. That’s when my dream ended, could this mean anything?And which one would be my totem animal? Dreamt of many many many playful baby lynxes on the path I walked in Russia along a river. I healed him some and off he went to return later in my dream.. I journeyed wildly and ended up coming down through the centre of a redwood tree and crawled out through the roots, and sat with my back to the tree. A lynx came and sat next to me and watched the dawn rise with me.. I dreamt I was talking on the phone to an old friend when a female white lynx appeared a few feet away. I was scared but excited and hurried in a cabin and peered through the window as she laid on the porch. Then a male black and white lynx approached and mounted the female. Later an unknown man mounted the female. I don’t know how but I ended up becoming pregnant with sextuplets. However, 5 died and I was only pregnant with a baby girl. What does this all mean? I dreamt of a gorgeous greyish linx last night. It was full of love and wanted to be my pet companion. I was and stayed skeptic of the linx as i knew it could turn on me at any time. My mom loved the linx although i was telling her to tread carefully. As the linx got older he still was following me everywhere i go however more aggressiveness would occur and i even witnessed him attack another human. I started distancing myself from it and it would get more aggressive and wanted to attack me. I tried to avoid any confrontation however the dream came to the point were i had to confront it. I had a long chopping knife in my hands and was facing it with a glass door in between us. That is where the dream stopped. Im really confused.. But the dream gave me the feeling that the linx or i would not have won the battle, we would have both died in this altercation. What can this vivid dream mean? Honor the lynx don’t fight the lynx. It seems it may be your totem. That’s why both must live or die together, your conclusion in the end. He represents your soul. Don’t be afraid of what appears as wild and violent or not predictable in yourself, life and choices. Drawing a lynx may be a good start 🙂 it can also represent a big change in your life, the one we say someone has “rebirthed” you know? Blessings! Last night had a weird dream of someone having a purple viper with the head of a lynx around their neck, and I was petting it under it’s chin. I’ve always been drawn to the lynx and snake, weird that they appeared as one in a dream, still trying to discern what the message is. The Lynx is one of my totem animals and I was drawn to her for the first time tonight. I didn’t understand her significance and felt drawn to the woods to find the truth. As I was reading her description in Medicine Cards, I read that sometimes she appears as an omen and the very moment I read the word “omen,” I heard a scream to my left. A few dozen yards away, an actual lynx was screaming at me. I shined my light on her to see if I could see her and she stared back at me for a moment. It was then that I finally heard the message she wanted me to hear. Found a Lynx carcass on a float trip. Kept the skull. Rather fascinated by this unique, majestic creature. I dreamed of walking my dogs in an unfamiliar place. There were big cats in the backyard and puppies a few houses over. One cat went to touch or attach one of my dogs, but scratched me instead. Another big cat told him to leave us alone. The cats appeared to be in the Lynx family. I just dream that i had lynx on my head all the time. I was not scared. It seemed so.etimes its a dry straws but he was lynx either sleeping or half dead? I felt like i need to take care of him.